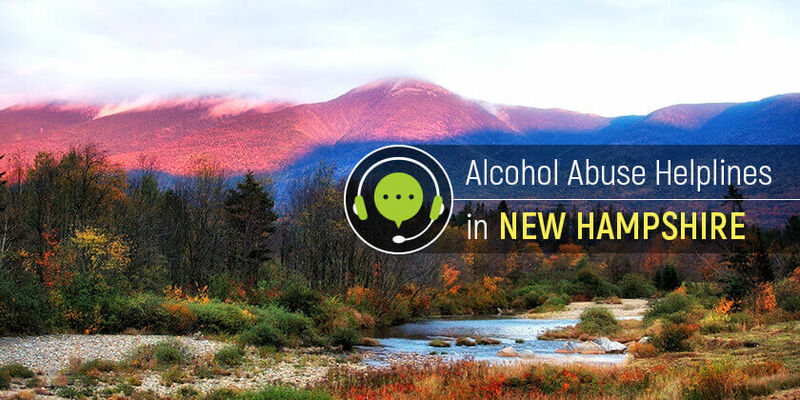 New Hampshire residents struggling with alcohol dependence can access the best care in the state by connecting with professionals via any of these alcohol abuse hotlines. Delphi Health Group offers information to people struggling with alcohol addiction. Delphi Health Group provides callers with 24/7/365 access to alcohol and drug counseling as well as treatment advice and makes referrals to the best treatment services options available. Call the toll-free alcohol helpline at (866)-520-2708 to speak with an agent. Note that calls are 100% confidential. Services provided by the group are covered by insurance. Connect with New Hampshire 2-1-1 by calling 2-1-1, or the alcohol hotline 1-866-444-4211 for callers outside New Hampshire, to get information on alcohol treatment and referrals to treatment programs in the state. 2-1-1 NH is available round-the-clock to connect with qualified specialists who will provide up-to-date resources and information on alcohol treatment options and services. Call the New Hampshire Statewide Addiction Crisis Line on the alcohol hotline number 1-844-711-HELP (4357), TTD/TTY: Dial 711 to get connected with alcohol addiction experts who will provide immediate help, support, and referrals to treatment programs in the state. The Substance Abuse and Mental Health Services Administration (SAMHSA) National Helpline 1-800-662-HELP (4357) provides nationwide access to alcohol treatment resources and referrals to alcohol treatment programs across the country. New Hampshire residents get access to those facilities in the state by calling this alcohol helpline. Calls can be made in English and Spanish. New Hampshire residents with alcohol dependence can get the help needed by contacting an expert through these alcohol treatment hotlines.